Buy Small type Biodiesel Equipment - Shandong Leader Machinery Co.,ltd. 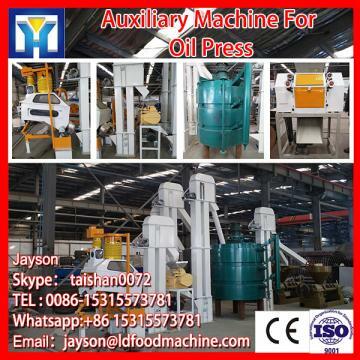 All machinery could be suitable for extract oil from the kinds of plant seeds for bio-fuel diesel oil, after filting, final oil is used to tractor, diesel engine, truck, etc. And the raw materials of biodiesel could be waste oil! The oil filtered is triglycerides, containing glycerine. The biodiesel process turns the oils into esters, separating out the glycerine. The glycerine sinks to the bottom and the biodiesel floats on top and can it could be got for the biodiesel oil. The process is called transesterification, which substitutes alcohol for the glycerine in a chemical reaction, using lye as a catalyst. We supply for the bio-fuel oil mill as 50L-50, 000 L /day. Oil pressing equipment for plant or plant seeds. Pls contact to us directly. For the whole Small type Biodiesel Equipment,warranty is 12 months,within 12 months,if have equipment quality problems,we will provide accessories freely. After the expiration of the warranty period,if have spare parts problem,we only receive the cost of required replacement parts.We commit we will provide free technical support of equipment all whole life. Our company has engaged in producing and exporting Small type Biodiesel Equipment for many years, and until now, our machine has exported to overseas market, such as Brazil, India, Indonesia, Russia, Thailand and so on, and get the foreign customers' unanimous praise. We believe that you purchase Shandong Leader Machinery Co.,ltd. Small type Biodiesel Equipment is your best and sensible choice.